The WORT 89.9 FM Madison, Wisconsin Area Classical Musical Calendar for the Week Beginning August 29, 2013 Compiled by Rich Samuels, Host of “Anything Goes”. Thursday August 29 7 pm at Rennebohm Park, 115 N. Eau Claire Ave. , Madison. The final free summer concert for the 2013 season by the Capitol City Band. Saturday August 31 at 8 pm (repeated Sunday September 1 at 4 pm) at the Token Creek Festival Barn, 4037 Highway 19, DeForest. The final concerts of this year’s Token Creek Chamber Music Festival “Improvisations on a Theme”. It’s not a contradiction. In a program titled “The Old and Unfamiliar” the Token Creek Festival will offer world premieres, both of a new work and of completions of old works never heard before. What composer is more beloved and performed than Mozart? Yet he was in the habit of leaving pieces unfinished, to be taken up later. He was above all practical and pragmatic – if he was working on a violin sonata when a commission for a wind piece came in, he’d suspend work on the sonata, planning to return to it later. There is now conclusive evidence that some of his pieces lay unfinished for ten years. His early death prevented the completion of many of them. Can they be recovered, “new” Mozart works that add to our sense of his prolific variety? We think so. – The Allegro in G Major (K. Anh. 47), another sonata first movement begun by Mozart (the first 31 measures), also completed by Levin last year. In addition to the completion premieres, the program also includes the premiere of John Harbison’s Violin Sonata No. 2 (2013), some rare old things — Purcell sonatas for two violins – and Mozart’s infrequently heard and bizarrely scored Horn Quintet (for two violas, one violin, and cello. “The Old and Unfamiliar” program will be presented twice: Saturday August 31 at 8:00pm, and Sunday September 1st at 4:00pm. All performances take place at the Festival Barn, on Highway 19 near the hamlet of Token Creek, with ample parking available. The venue, indoors and air-conditioned, is invitingly small, and early reservations are recommended. 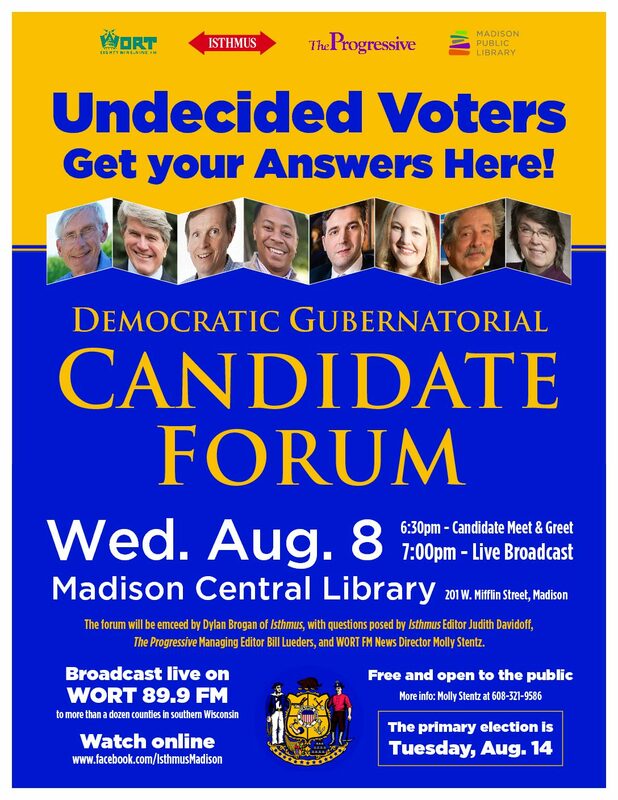 Monday September 2, 7:30 pm at Mills Hal, 455 N. Park, Madison. Wednesday, September 4, noon, at Luther Memorial Church, 1021 University Avenue, Madison. Organ recital by Organist Bruce Bengston every Wednesday through 12/18.